Tsar Dadon is astonished at the sight of the beautiful Queen Shamakha, who invites him to dine in her tent. The Tsar falls in love instantly and forgets all about his sons, who lay slain nearby. 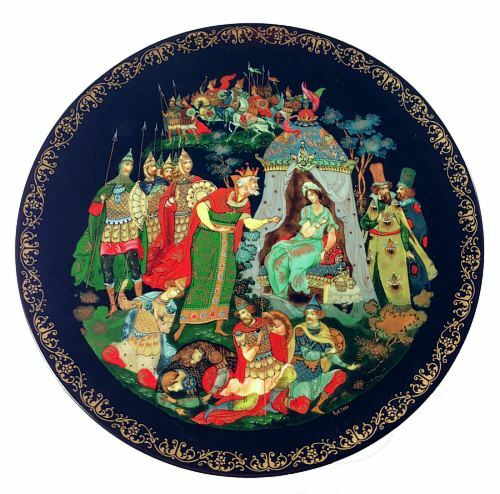 This collectible plate, depicting the Tale of the Golden Cockerel, is based on lacquer miniature by a Palekh artist Vladimir Vlezko. The plate is in excellent condition and comes with the original documents and box.